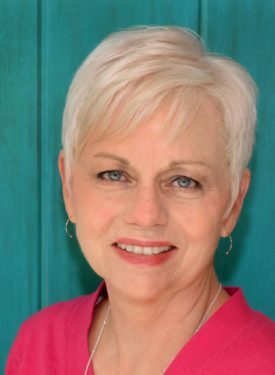 Susan is licensed in Arkansas and Texas and is a Board Certified Massage Therapist practicing since 2007. She has completed over 1,000 hours of training, which includes a 300-hour Certification Program of Oncology Massage Training at the Peregrine Institute of Oncology Massage Training in Santa Fe, NM. Susan is a Certified Manual Lymph Drainage Therapist through Klose Training, and is certified in the Vodder Technique. Susan has written articles about the benefits of oncology massage and has given talks to community support groups. During a long career in corporate America, I started having grandchildren and chose to make a change. Massage therapy has allowed me to slow the pace of life while making a difference in the lives of others. While attending massage school, my sister was diagnosed with Stage IV colon cancer. I took her to chemo every other Thursday, and with doctor consent, massaged her feet and hands during chemo infusion. Little did I know when I chose to make a change in career, that my life’s work would be the privilege of providing gentle-touch massage to cancer patients. Experiencing the profound benefits that massage has for cancer patients touches me deeply and encourages me to learn as much as I can. I feel blessed to me where I am in life – assisting those who need rest and healing the most.